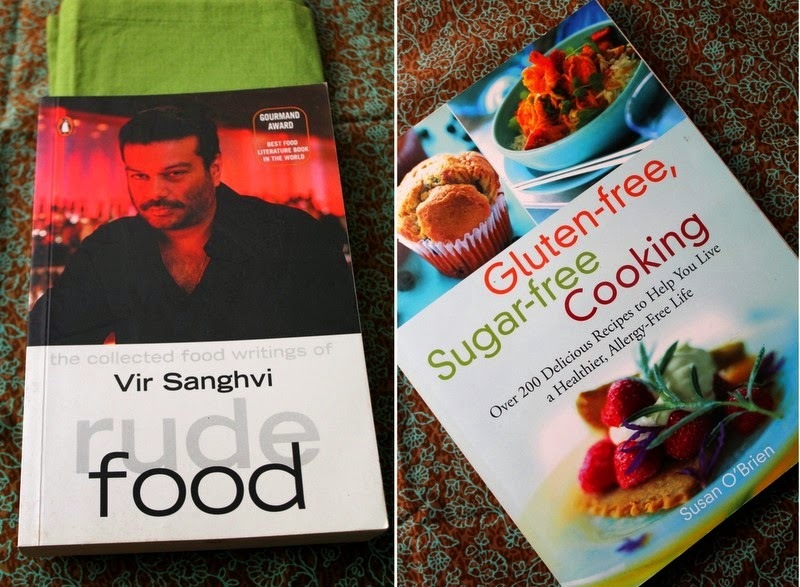 Like many of you out there I am a HUGE lover (read as hoarder) of cookbooks and books based on food writing. I don't need any reason in particular to buy one. Sometimes it's the theme of the cookbook; sometimes the author; sometimes the reviews are so great that I can't stop myself from ordering a copy; sometimes it is as silly as the book cover. Whatever may be the reason, now I have a selection of books that I seldom use and book giveaways to few lucky readers was something I wanted to do since a long time. I handpicked 12 such books (4 of which are featured today) that I simply loved for each day of this week. Winners will be randomly picked and there are few more simple ways to increase your chances. Scroll down to the end of the post for more details on how to participate. Don't forget to check out (if you haven't already) on Day 1, Day 2 and Day 3 posts as well. All it takes is to leave a comment and we never know, you might be THE winner. Enter and try your luck! Click here to access all book giveaways on a SINGLE page. Also, since it's VeganMoFo, a vegan friendly recipe is a must. Today, I made amma's favorite dish - a tangy curry with fried black gram (urad dal) wadis. 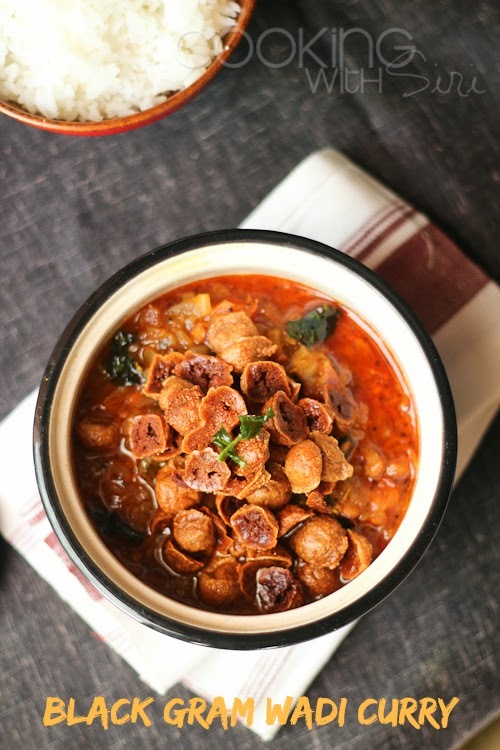 On days when your tastebuds are craving for a different yet simple curry, try this. There is something really magical when fried wadis are dunked in onion-tomato-tamarind flavored stew. The wadis absorb all the juices and the result is truly wonderful. Rice is the best accompaniment and if are a non-vegan, don't forget to add a tsp of melted ghee on top. Step 1: Heat oil and fry the black gram wadi to golden brown. Drain excess oil on paper towel and Set aside. Step 2: Leave about tbsp of oil in the same kadai and remove the rest. Add urad dal, cumin seeds, mustard seeds, hing and green chillies. Once mustard start to crackle, add onion and ginger garlic paste. Saute for 4 to 5 minutes, until translucent. Step 3: Add chopped tomato and cook until the entire mixture turns mushy. Season with salt, turmeric and red chilli powder. 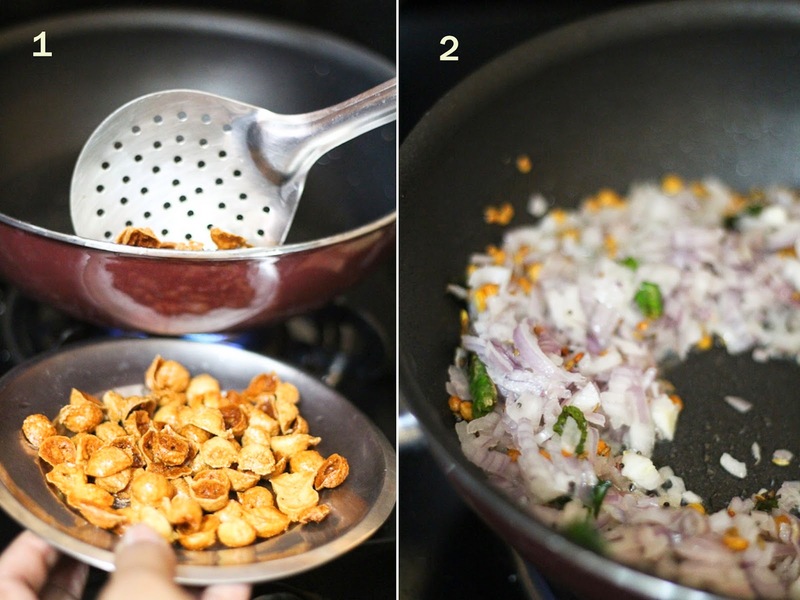 Stir in the tamarind pulp and mix everything together. 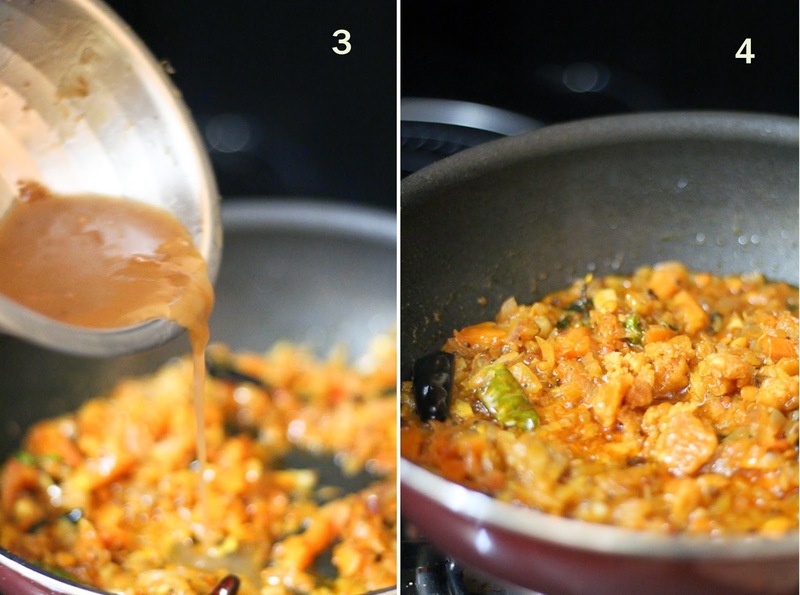 Step 4: Finally add the fried vadiyams and mix again. On low heat, cook for 2 to 3 minutes and turn off the heat. If you have time, cover and let the curry sit for 10 to 15 minutes for the flavors to blend together. Serve with rice. To increase your chances in the random drawing, do one or more of the following and leave a separate comment once you did so. 4. Subscribe to Cooking With Siri feed. If you are already liked me on facebook, following on twitter or subscribed to RSS feed, just leave a comment letting me know and you are entered in the giveaway automatically! You don't have to be a blogger to win these book give-way(s) and open worldwide. Last date for participation is September 29th 2014 midnight IST and Four randomly chosen winners will be announced on September 30th 2014. We make this wadi gujju style! Good to know such a doable variation, thanks. Lovely curry. And your book giveaway is so generous. Your blog brings in the element of variety in my dinner table! I am here again, Siri, hoping to win at least one of the books. Minapa vadiyalu pulusu looks yummy. 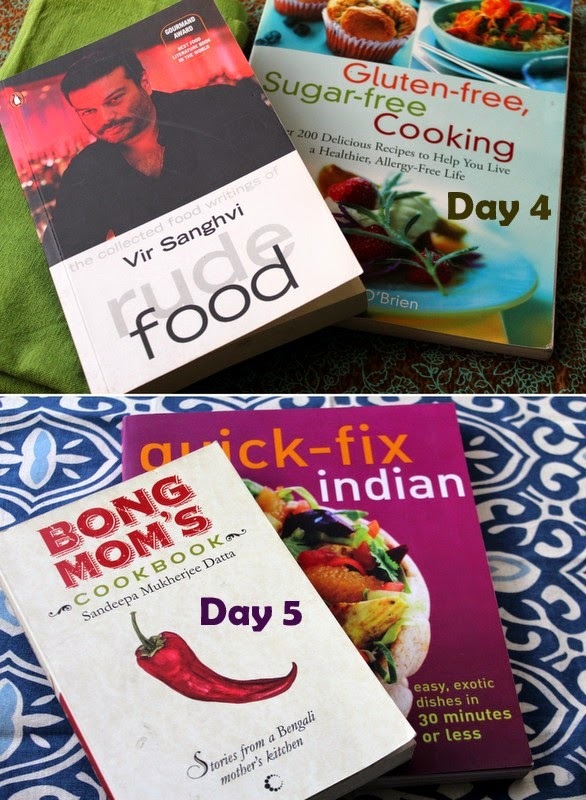 I see a book by Vir Sanghvi .. I'm an ardent fan of him.. hope I win this book. Following you already .. tweeted about the event. Wow.. more books to win.. Its raining books on your blog.. Looking forward to winning one of your books.. you are being followed except on twitter!! good luck in your new endeavor! Pick me please.. LOL!! Siri, what is an acceptable substitute for the wadis you have used? Id love to try this. And ❤️the giveaway! Spreading the word! Hey Mansi, I would say anything that is fried and can hold its shape once added to the gravy would taste good. Hope this helps. My mom makes it too.. I dont stock these minapa vadiyalu or i would have made this curry tomorrow. As usual putting my hand up for the cookbooks. New to your blog and I'm in love with it. Fingers Crossed! I'm participating in the give away. :) I'm following you everywhere!! Siri we do add these to kootu sometimes. They also make a good snack time munchy. Special comment....commented.here. liked on face.book.and receive your updates. Already following Cooking With Siri on Facebook. I don't know dried black gram. I've never see it in France but looks good. 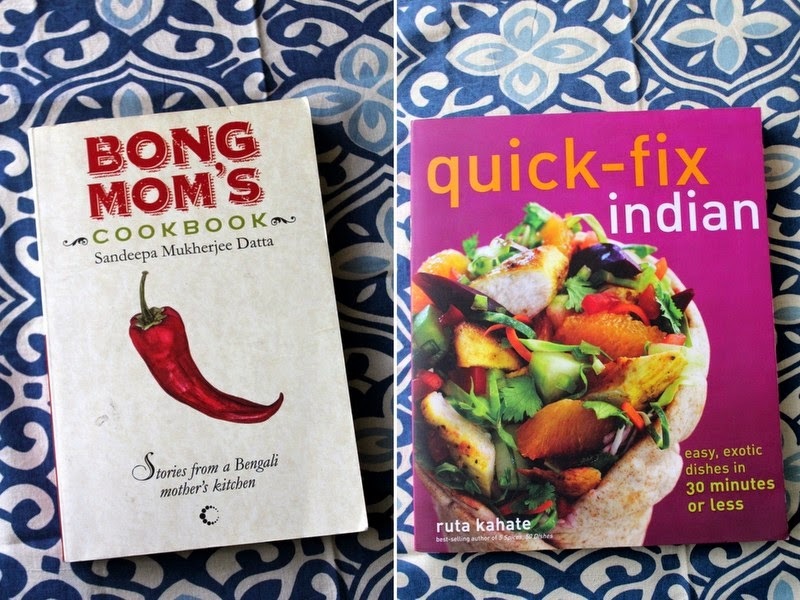 Wish to win the book "quick fix indian" (or another). Been following you for ages now! Rude food and Quick Fix Indian forever!